Bubb Rubb from Oakland invented Viral Videos with Whistle Tips. You may have forgotten but once upon a time, before memes and internet ADD there was Bubb Rubb, possibly the first to go viral from a news clip in the early days of Youtube. And he is from Oakland of course. The whole thing started with whistle tips, the annoying screech noise making devices that you install on your exhaust pipes. Luckily the City of Oakland banned them after a while because it was getting really annoying. 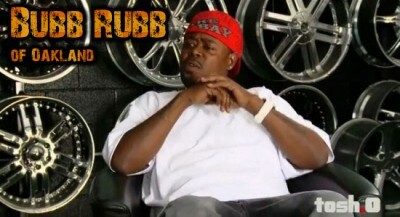 Bubb Rubbs original news clip. As a bonus here’s something you can easily listen to for hours without realizing it.